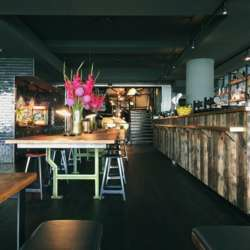 Our April event takes place at the very trendy Spreegold in the famous Bikini House. There are in total 3 Spreegold Bars in Berlin, we are at the one at Budapester Strasse 50. It is very easy to reach ... it is directly next to Bahnhof Zoo.